About Us - Superior Monument Co. In 1986, Dave and Nancy Sietsema opened Superior Monument Co.. in a section of the General Plumbing building on Ottawa St. in Muskegon. Over the first few years, with dedication and a desire to provide quality service, they earned a reputation of dependability, kindness and attention to detail . The business expanded rapidly, and they purchased the building on the corner of Ottawa and Marquette and have been there for over 30 years. The expansion continued with 3 locations, 2 stock warehouses and several sales people based throughout Michigan. We treasure the generational loyalty gained through superior craftsmanship, compassionate support and trust. Our staff enjoys sharing in the legacies of your loved ones, and perpetuating those memories with the art of stone. We are proud to support our local veterans, community foundation and businesses with important community projects. In 2018, with the retirement of Dave and Nancy, Patten Monument Company in Comstock Park has purchased Superior Monument Company in Muskegon, along with the Grand Haven location and the Swensen Memorials location in Traverse City. 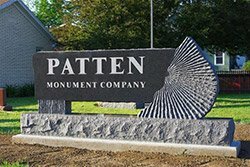 The Sietsema’s wanted to know the company would be in good hands, and with Patten’s excellent reputation for customer service and high quality, Patten Monument would be the best choice to ensure the future growth and community commitment of the company that they’d built from scratch 31 years ago. Established in 1917, Patten Monument has been serving Michigan families for the past 100 years. 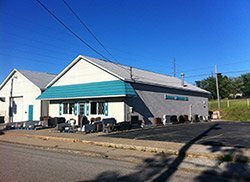 From humble beginnings as a single shop on Plainfield Avenue, Grand Rapids, Michigan, Patten has grown to become Michigan’s largest provider of cemetery memorials. Patten Monument celebrated its 100 years in business last year. “It’s our honor to carry the torch that Dave lit in 1986. With the knowledgeable and dedicated staff at Superior, it’s a great opportunity to collaborate and exchange ideas with our new team.” Said Andrew Bolt, president of Patten Monument. Superior Monument is proud to become part of a new family but is still locally owned and operated and the most experienced monument dealer in the lakeshore area.